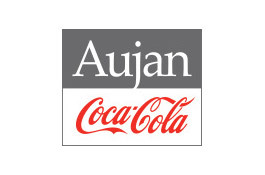 Inaugural Adel Aujan Awards take place to honour Aujan Coca-Cola Beverages Company’s key contractors and partners. Dubai, United Arab Emirates; March 1, 2017: Hundreds gathered in Dubai this evening to celebrate the life and legacy of one of the Gulf’s most prominent businessmen, Sheikh Adel Aujan. Sheikh Adel, who passed away in January, was the Chairman of one of the largest Middle Eastern beverages conglomerates, Aujan Coca-Cola Beverages Company (ACCBC), formerly known as Aujan Industries, which is widely regarded as one of the region’s top home-grown success stories. In commemoration of Sheikh Adel’s contribution to both business and society, the company organized a prestigious gala dinner at the Oberoi hotel on March 1, inviting 250 members of the ACCBC family, including members of the Aujan family, past and present employees as well as suppliers and partners. The centerpiece of the event was the Adel Aujan Awards (AAA), which will be held annually, and which will honour a select group of ACCBC’s best-performing suppliers for outstanding performance in five categories – innovation; quality; service; value addition and partnership. A panel discussion involving friends and former colleagues of Sheikh Adel also looked back on the career of one of Saudi Arabia’s most remarkable industrialists. Over a 48-year career with ACCBC, Sheikh Adel grew the Dammam-based business into a multi-billion-dollar drinks giant, thanks to the innovative marketing of existing brands such as Vimto and homegrown brands like Rani and Barbican. The inaugural Adel Aujan Awards saw five companies honoured by ACCBC. The Innovation AAA was won by Constantia, a manufacturer of packing and labels. Louis Dreyfus Company, a leading merchant and processor of agricultural goods, picked up the Quality AAA, while industrial products supplier MASTFOODS won the Service AAA. Beverage can manufacturer Can-Pack Middle East won the Value Addition AAA, while John Bean Technologies (JBT), a food industry machinery giant, was awarded the Partnership AAA.